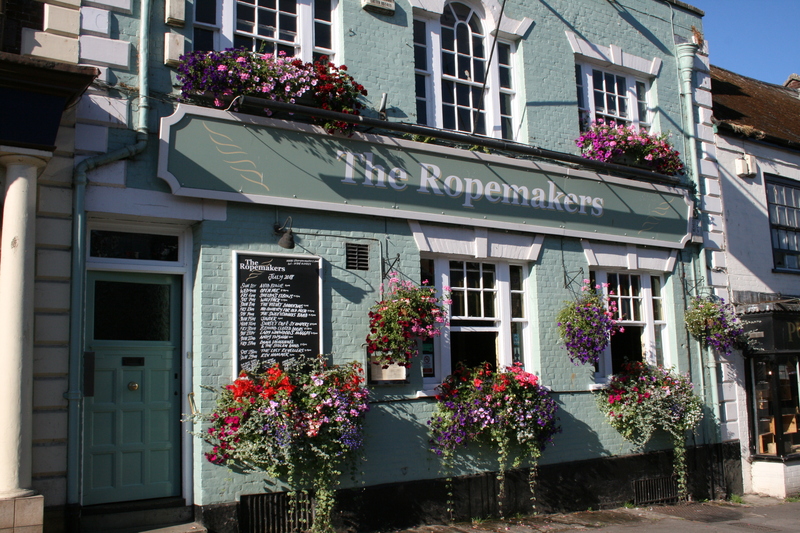 The Ropemakers was built in the late eighteenth century by the Gundry family and was originally called The Sun Inn. The building was refurbished by the Brewery in 1989 and the name changed to The Ropemakers to reflect Bridport's main industry as the World's biggest net making centre which was based on the other side of the road. In some ways The Ropemakers is a bit of a Tardis in that the building is much larger than it looks from the street as it stretches back and back ending in a pretty courtyard area that is popular with smokers and drinkers alike. The current Landlords, John and Geraldine Baker have concentrated on good quality foodmade in their own kitchens from ingredients sourced from the best local suppliers. On Friday and Saturday evenings we offer an excellent live music scene featuring the best of the local groups plus various touring bands from as far afield as France. Every Tuesday we have a friendly fun quiz starting at 8:00pm with the winners winning a bottle of wine.